Presenting Your 2019 RHS Boys Soccer Teams! Wow! That was an impressive, competitive tryout! The coaching staff was blown away by the skill, work rate, and character displayed from each of you over the last three days. Honestly, we wish we could take you all. Thank you for the effort you gave in making this one of the best tryouts we’ve ever been a part of. You should each be proud. If your number is listed on the Varsity roster, you are expected to be at Tangen’s classroom (E-202) at 2:45pm tomorrow for a pre-practice meeting. Also plan on going late—we won’t be done with practice until about 5:30. If your number is listed on the C-Team roster, please report to the RHS field with gear on no later than 4:45pm. Practice will run from 5:00-6:30pm. If you make any team, please plan on attending (with your parent) the mandatory Parent Meeting tomorrow night at 7:30pm in the RHS Library. If you make any team, please also plan on having practice (morning) and team-bonding (3-9pm) this Saturday! If your number is NOT listed on any of the three rosters, you have unfortunately not made a team this year. As stated above, this was an extremely competitive tryout and tough decisions had to be made. We welcome you to participate in the RHS Track team, a non-cut sport. We’d also encourage you to train in the off-season and come back for tryouts next year! If you have additional questions about team selections, Coach Tangen will be available Thursday and Friday before school (7:00-7:25am) and after school (2:20-2:40pm) for short conversations. You may also schedule a meeting with him at ttangen@lwsd.org. Once again, thank you to all those who attended tryouts this week! Looking forward to a fantastic season! If your number is not listed, please reach out to Coach Tangen at ttangen@lwsd.org. Please also note that several boys will be asked to stay for multiple games, so be prepared to play until 5:00pm. Again, thank you for your grit, your resolve, and your commitment over the last two days. It’s been an impressive, competitive tryout! Come prepared tomorrow to give it your all, regardless of the group you’re assigned. Make the most of the opportunity! We’ll see you tomorrow! It’s finally that time of the year again! 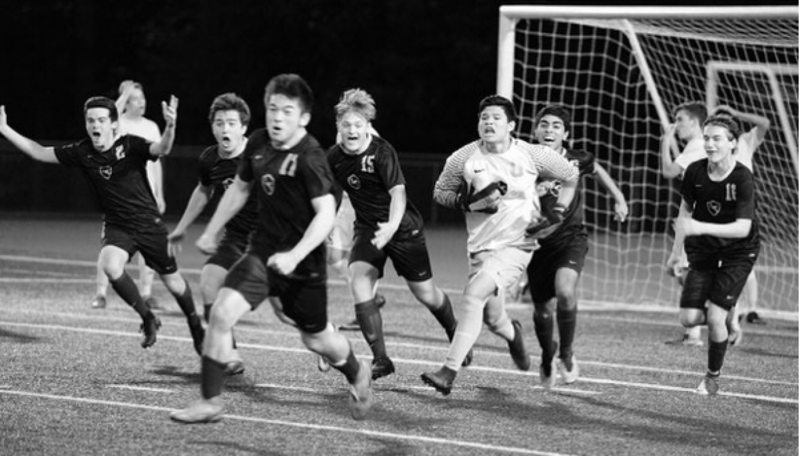 Tryouts for RHS Boys Soccer 2019 take place this week Monday February, 25th through Wednesday, February 28th 3-5pm. 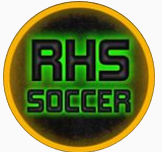 For tryouts, plan on being at the RHS field by 2:45 with cleats, shin guards, warm clothes, and water. Can’t wait to see everyone there! Should be a wonderful season! Team Shop for Spirit Gear Now Open! Hey everyone! We’re introducing a new, exciting opportunity for swag this season! Through a partnership with BSN Sports, we’ve set up an online Team Shop that has various gear (shirts, hoodies, sweats, etc) for RHS Boys Soccer 2019. Anybody is welcome to order— athletes, siblings, fans, parents. 1. 2/15-2/20. This is for pre-season orders. Even though this happens before tryouts and team selections, we’re hoping this will give us a head start for getting our gear earlier in the season. Please note: buying gear does NOT guarantee a spot on the roster. There will be no refunds, so please be aware! This is an “order at your own risk” kind of thing. 2. 2/28-3/4. If you would rather wait to order gear, this is your chance! This will be after tryouts and team selections. Please note: orders take between 3-4 weeks, so any gear ordered during this time may not arrive until almost halfway through the season. ***Please note: buying gear is NOT mandatory. The Boosters have also already generously purchased a Nike Hoodie for every boy in the program, in addition to uniforms every boy’s will use for the season. So the Team Shop is just a great opportunity for those who want more than that! Spread the word to all players, parents, and fans of Redmond Soccer! Get your spirit gear now! All parents/guardians of boys interested in trying out this year should join us for an informational meeting on Thursday, February 7th at 7:30pm in the RHS Library. Looking forward to another great season!! !